This is a fabulous trip for those interested in the biodiversity of our local ecosystems and wildlife. Ride in a covered boat tour or choose your own kayak paddling through mangrove channels Damas peaceful surroundings. Once on board, you will enter the estuarine system, where your professional guide to describe a variety of biological relationships between some of the exotic organisms that exist in this delicate habitat endangered. Very often, the monkey is part of the ship to experience closely with thinly veiled White face monkeys. It is also likely to see many species of animals are rarely found outside of this protected area. This tour lasts approximately 4 hours and includes transportation, bilingual guide, drinks and a typical lunch or dinner. Tour outputs operate according to high tides. Includes: Transportation round trip, food and insured vehicles. 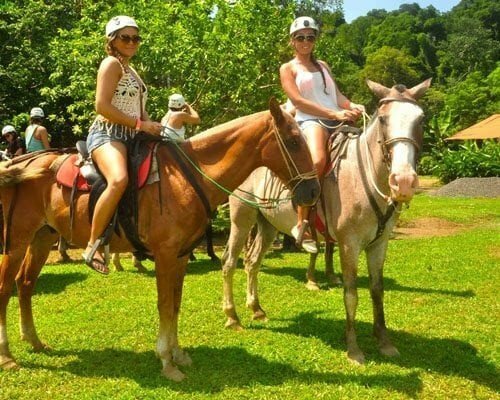 There many more Local Activities and Many of the Best Costa Rica Tours to Explore, Below a List of some.. If you are not sure which specific tours you would like for yourself and your friends/family, use this form to let us know what tours you are interested in and we will contact you to help you tailor a Costa Rica adventure tour itinerary that is both memorable and full of adventure!